First of all, what makes a Baptist Sunday School Curriculum for kids Baptist? Obviously, elementary curriculum won’t spend too much time on deep, theological discussions about what a “Baptist” church is— our poor kids would be bored to tears! However, it’s still important for kids to be taught using a curriculum that fits in with the basic tenets of the faith that their church holds to. Sound theology should be woven in to Sunday School lessons in such a way so that kids can hear and understand basic theology concepts even if they don’t even know what the word “theology” means! So, what kind of basic theology will show up in a Baptist Sunday School Curriculum? We’ll go over a few “Baptist Distinctives” here. Basically speaking, Baptists believe that the Bible contains no errors and is the ultimate authority for everything we should believe and do. All of it is inspired by God, and all of it is useful. Baptists believe in the Trinity. That means that God is three persons in One God— God the Father, God the Son (Jesus), and God the Holy Spirit. Baptists also believe what the Bible confirms about Jesus: He was able to die on the cross for our sins and literally rise from the dead because he was both God and man. Don’t get freaked out now—we’re not saying that everyone has to become a priest. What this does mean is that everyone is responsible for his own actions and therefore serves as his own “priest”— we can speak directly to God and ask him to forgive our sins. No priest needed in the middle to mediate! 5. Salvation = Faith in Jesus Christ, and It’s Permanent. Salvation is permanent and the decision to accept Jesus’ gift needs to be made only once. Baptists believe wholeheartedly in the Great Commission of Matthew 28:19-20, which says that we must share the gospel of Jesus Christ with others. Believers should support global missions just like the churches in the New Testament prayed and gave money so that Paul could travel and preach the gospel.Children can and should be encouraged by their Sunday School curriculum to share the gospel with their friends and to pray for missionaries. Baptists believe in baptism by immersion after a person has accepted Christ’s gift of salvation. A person “gets baptized” as a sign of obedience to God. Baptism does not save a person, but rather it is meant to show others that one is identifying himself as a follower of Christ and has decided to live his life to prove it. The other ordinance, the Lord’s Supper, should also be administered by the church so that believers are constantly reminded of what Jesus’ death means to their lives. Here’s the thing: if you’re looking for a good Baptist Sunday School curriculum, you’d better know what you want out of it, otherwise you’ll get lost in the huge sea of options! Of course, not all the options will be perfect for your classroom’s specific needs. That’s why you need to know what questions to ask yourself before taking a look around, or you might just end up picking a curriculum based on its fancy-looking graphics! Every teacher’s goal should be for kids to learn God’s Word, apply it to their lives, and have FUN doing it! Do a search on illustrations for a Bible story or object lessons, and you’ll undoubtedly come across some interesting offerings from Jehovah’s witnesses or Seventh-Day Adventists. Without even realizing it, you might end up downloading a lesson that looks great, only to find a few nuggets that definitely aren’t up your doctrinally alley. Unfortunately, there’s plenty of great material out there, but make sure you know what source you’re getting it from. Rule of thumb is to scroll down and check the publisher at the bottom of a webpage that you’re thinking of buying material from. Or, click on the “About Us” section or the site’s doctrinal statement, if it has one. Better yet, download a sample lesson (if they offer it) and read it! Many good Baptist publishers don’t use “Baptist” in their name, so some digging might be needed to be sure the lessons have the same doctrinal standards as your church. You can use the “Basic Theology” section above, or your church’s Statement of Faith, as a guideline. The lessons should follow a logical plan and a specific sequence. There shouldn’t just be random Bible stories thrown around haphazardly. -It helps kids remember the lessons better when they are similar or follow a theme for a certain number of weeks. It doesn’t matter how pious and sound the doctrine is, if kids don’t understand it, they won’t learn a thing. Yet another good reason to read a sample lesson before investing in an entire curriculum! Make sure you check what age group the material is geared toward, and select classes that will be appropriate for the kids you teach. God didn’t make the Bible a boring book, but sometimes we teach it as though it were. Have you ever realized how much variety the Bible has? There are poems, stories, advice, even jokes dispersed throughout its pages. 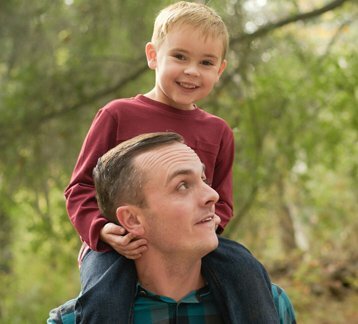 Take a hint from the Bible and find a Baptist Sunday School Curriculum with plenty of different elements to keep your kids interested. Hardly anyone has time to come up with awesome games, openers, lessons, crafts and stories every week. Choose a curriculum that already comes with everything you’ll need so that the hard work is done for you. Keep in mind that bare-bones curriculums may have a cheaper price tag, but you’ll pay the difference with the time you’ll spend coming up with creative activities to go along with the classes. We’ve already talked about the essentials you should look for in a curriculum, but the ultimate choice comes down to your personal preferences. If you’re not sure what your preferences are, ask yourself the following questions. 1. Do I want a curriculum that tells me exactly what to say? If so, you need a curriculum that includes scripts for teachers. If not, lesson plans with simple outlines might suffice. 2. Do I want to make my own visuals? If not, you’ll want to get a curriculum that comes with all the visuals you’ll need, whether they are downloadable and printable or come in a package in the mail. 3. Do I want a curriculum that uses minimal materials? If so, you’ll need to read the curriculum description carefully, or you’ll end up with activities that require you to head to the furthest aisle of a craft store to find sparkly hemp, or some other strange material that isn’t easily found at home or your nearest Walmart. 4. Do I want a curriculum with “extras”? 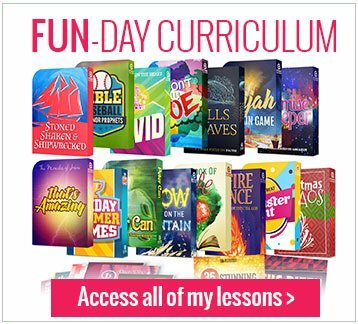 Extras might include skits, object lessons, original music, or anything else that doesn’t normally come with the typical Sunday School curriculum. Check the description carefully of curriculum you’re interested in to find out what it includes. Regular Baptist Press. It’s got Baptist right in the name, so you won’t be wondering where it’s focus is at. It’s an old standby for traditional independent Baptist churches. Better Bible Teachers Curriculum. Hands down one of the most think-outside-the-box options you’ll find, if I do say so myself! My curriculum has everything you need to become a better Bible teacher—all the sound doctrine, all the fun. And tons of material that you can download in seconds! Lifeway. This curriculum, known for its upbeat original songs, is affiliated with the Southern Baptist Convention and also produces VBS material. Joyful Life Sunday School Curriculum. Affiliated with Pensacola Christian College, this curriculum focuses on sound doctrine and provides ample material for ages 2 to sixth grade. Check out a mega-list of Sunday School Curriculums here. Wondering how to choose the Sunday School curriculum that’s right for you and your students? Read more here!